Oil prices rose to near $92 a barrel Monday in Asia ahead of talks this week aimed at avoiding a military conflict over Iran’s nuclear program. Benchmark oil for June delivery was up 43 cents to $91.90 a barrel in electronic trading on the New York Mercantile Exchange. The contract fell $1.08 to settle at $91.48 in New York on Friday. Brent crude for July delivery was up 78 cents at $107.92 per barrel in London. Iran plans to meet Wednesday in Baghdad with officials from the U.S., Britain, France, Russia, China and Germany following initial discussions in April. Investors are concerned that a pre-emptive attack by Israel or the U.S. on Iran’s nuclear facilities would likely pinch global crude supplies and send prices higher. 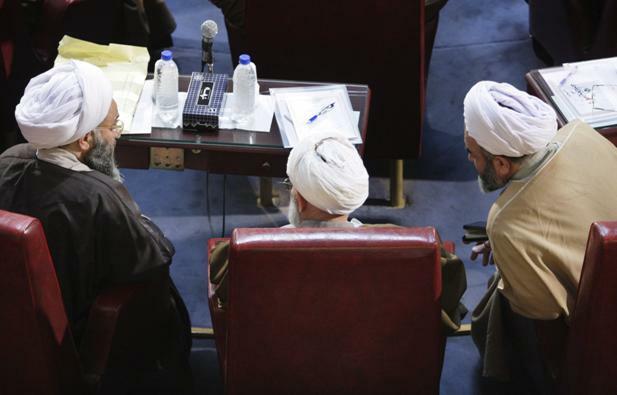 World leaders have warned Iran that misusing its nuclear energy program to develop a nuclear weapon is unacceptable. Iran says it is enriching uranium only to create nuclear fuel. “May is shaping up to be a key month for international efforts to achieve a diplomatic breakthrough on the Iranian nuclear program,” Barclays said in a report. On Saturday, the Group of Eight industrial nations said they were prepared to ensure the oil market is “fully and timely supplied” as sanctions aimed at limiting Iran’s crude exports will likely take full effect in a few weeks. Crude has slid from $106 earlier this month amid signs of slowing global economic growth. Oil prices have also fallen because tensions over Iran’s nuclear program have eased since April’s meeting between Iran and the six world powers. In other energy trading, heating oil was up 2.4 cents at $2.86 per gallon and gasoline futures gained 1.8 cents at $2.84 per gallon. Natural gas fell 2.1 cents at $2.72 per 1,000 cubic feet.